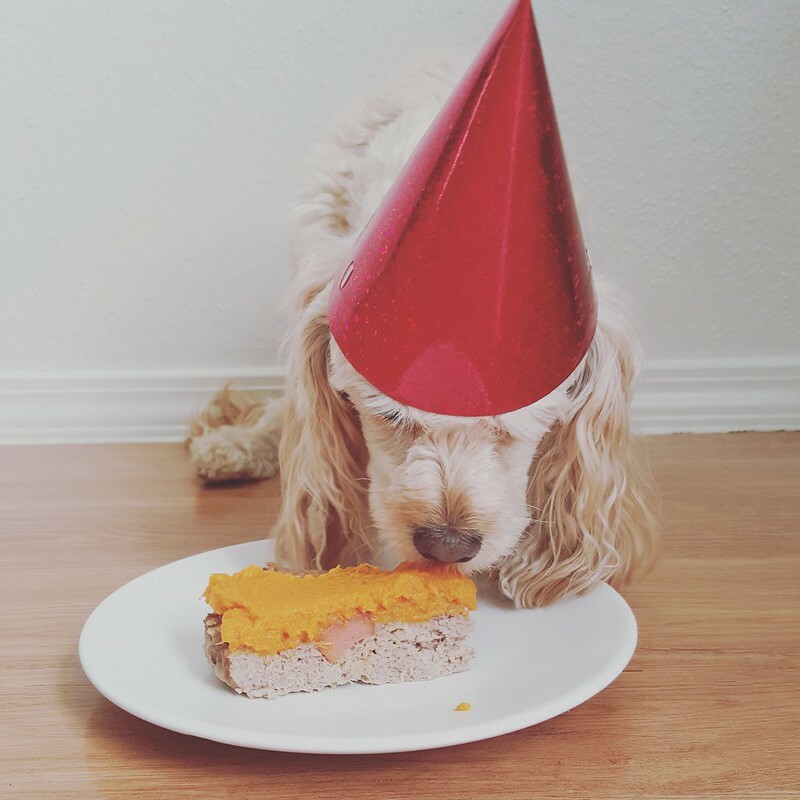 Birthday Cake for Dogs – homemade chicken cake for your pup’s birthday! With sweet potato frosting! My favorite child turned 5 recently. So I made her a cake of chicken and hot dogs! So yeah, we had a party complete with hats for all the dogs and humans. And then all the dogs had cake and all the humans refused to eat the cake. 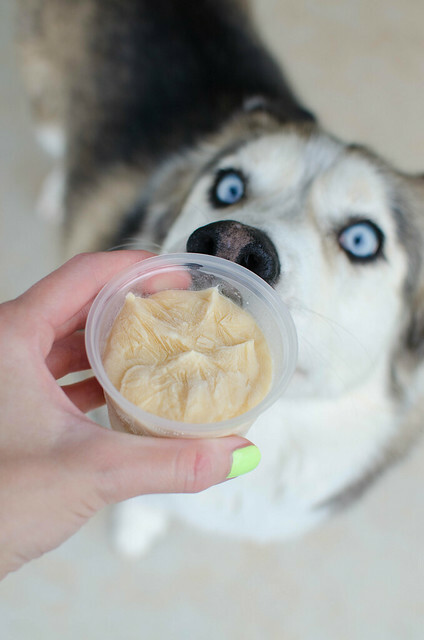 So the thing about baking for dogs is that they really don’t care how it tastes. My dogs will literally eat anything. But, you know, there’s still a part of me that wants them to like it. As if they’re going to tell me how much they enjoy the cake. But anyway, for this birthday cake for dogs, I used a pound of lean ground chicken and mixed in some sliced hot dogs and an egg. For the frosting, I just cooked and mashed some sweet potatoes. 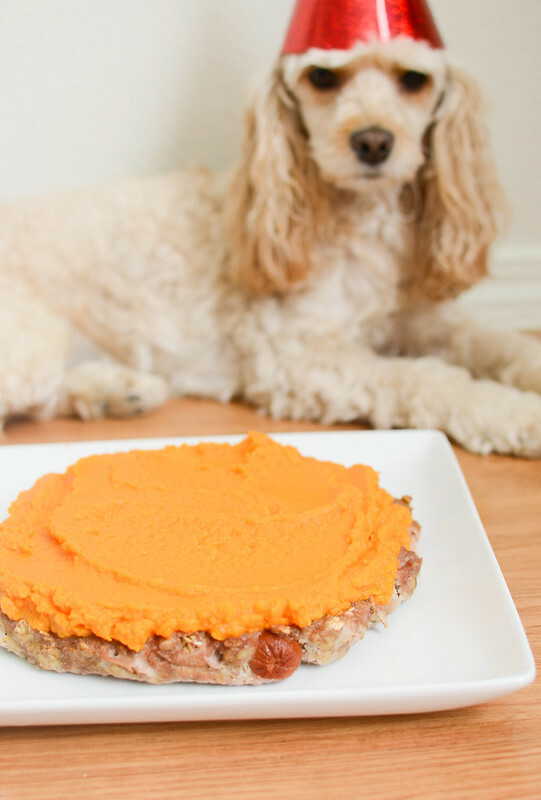 If you’ve got a pup birthday coming up soon, you should definitely make this cake! Make sure you subscribe to my email list to get all my new recipes delivered right to your inbox! Preheat oven to 350F. Line a 9-inch cake pan with parchment paper. In a bowl, combine ground chicken, hot dogs, and egg. Transfer to the prepared pan and spread with fingers. Bake in preheated oven for about 40 minutes, or until the meat is cooked through. While the cake is cooking, boil the diced sweet potatoes until fork tender, about 20 minutes. Strain and beat with an electric mixer until mostly smooth. Cool the cake completely before spreading the mashed sweet potatoes on top and serving. 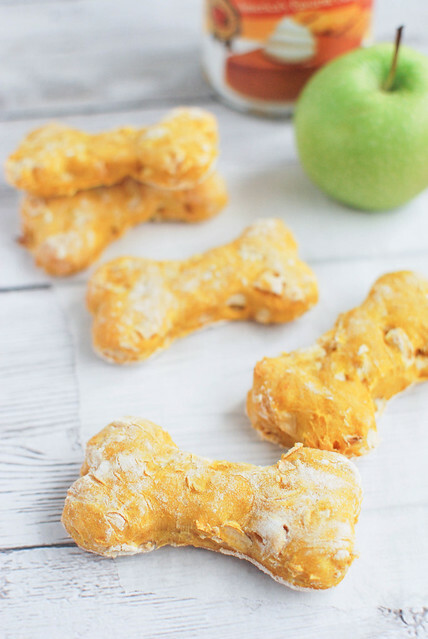 Want more homemade dog treat recipes? 2 Responses to "Birthday Cake for Dogs"
Love this. And I miss my dogs. 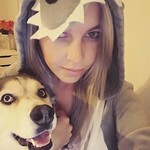 Hahaha, awww this is so fun!! 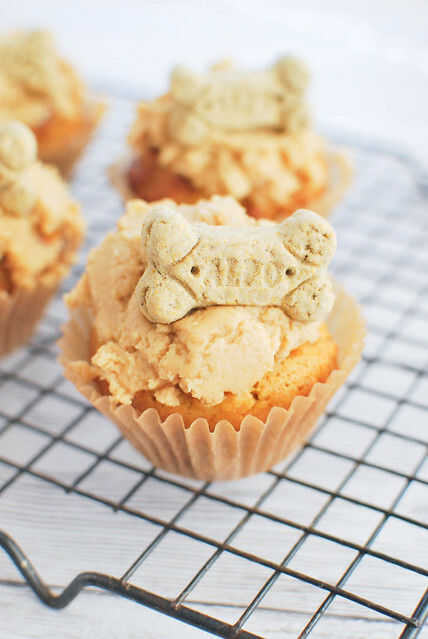 I love baking pupcakes for my dog! Looks like she really enjoyed this one… I mean, how can you go wrong with hot dogs! ?